Last week I was browsing the vitamin aisle at a local mass merchant when I witnessed something … disturbing. Toward the end of the aisle, there was a large, free-standing cardboard display brandishing a big-name healthcare product. The display was brightly coloured, with large text on the side that I could easily read from where I stood. Between its size and its design, it stood out. As I was pulling a package off the shelf to compare it to another brand, a small child bumped into my leg. “I’m so sorry!” I heard the clearly exasperated mother say to me as she and the little boy walked by. I smiled and nodded “no problem”. AND THE ENTIRE DISPLAY COLLAPSED! It was like something off of one of those hidden camera shows. The remnants of the display at her feet, the poor woman looked around guiltily. We both cringed and chuckled at the same time. Then she put the product back on the display — now on its side on the floor, a pile of the product spewing out into the aisle — and walked away with her son. Not at the woman. Clearly the collapse of the display was not her fault. But at the “engineer” who designed the point-of-purchase (POP) display. I went over to check out the wreckage and what I saw deeply bothered me. The display itself had clearly been damaged — one side was almost totally caved in. But beyond that, some of the product itself looked like it had water damage leaving the text smudged and unreadable. Retail displays like that one are critical to healthcare CPG brands and their consumers — and someone cut some huge corners when they designed, manufactured and/or co-packed that floor display. The collapsed display was a poor representation of that big brand, and the smudged information could have caused confusion for a buyer — and maybe even safety issues. It got me riled up enough that I decided to write this article and break it down for all the healthcare and pharmaceutical companies who are making the (very smart) decision to invest in retail displays. Get this: The average consumer is exposed to 3,000 advertising and promotional messages a day. In a single store visit,they have more than 80,000 items to choose from. Mr. Average Consumer (or Ms. — but for the sake of simplicity, let’s stick to Mr. for this post, shall we?) looks around constantly as he’s shopping. In fact, his eyes are only still for 200-300 milliseconds at a time. Mr. Average Consumer’s choice to buy one product over another is made in just three to seven seconds. If you’re a healthcare or Pharma CPG company, how do you capture the consumer’s attention in those seconds when they’re distracted by 80,000 other products? A well-designed display is how. 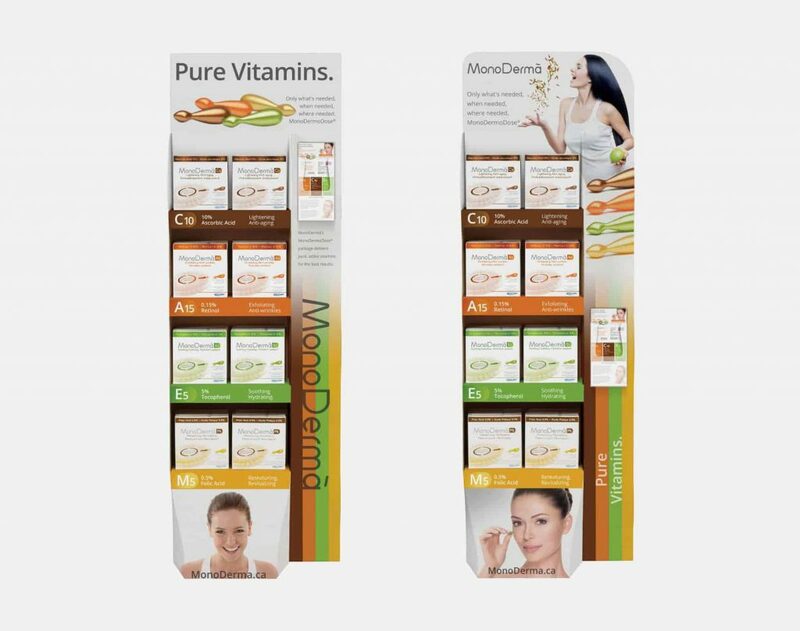 A display stands out from store shelves, and if it’s designed right, it visually draws shoppers’ attention. 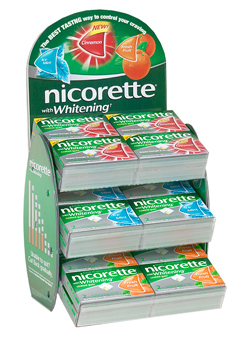 A display dramatically improves the merchandising effectiveness of the product. A display also helps create awareness around the brand. If the consumer doesn’t buy today, they might remember the display and buy the product tomorrow when they come back to the store for another item they forgot to purchase. Additionally, displays give you access to placement in retail stores you might not otherwise have access to, such as end-caps. What it all boils down to, however, is that a store display helps you sell more product. 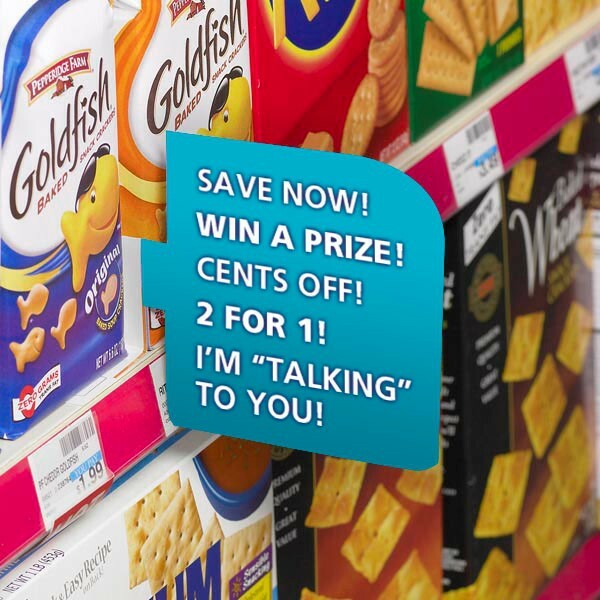 The displays you see most often in stores are floor displays or floor stands, counter or shelf displays and shelf talkers — and there’s a reason for that. They work. Floor stands — those free-standing displays you see taking up the walkway while you’re shopping — increase sales impact by a whopping 229%, according to the 2015 A.R.E. POPAI Compliance Study. Shelf and counter displays (also called PDQ – product-displayed-quickly displays) — which fit on shelves and create an attractive presentation for smaller CPG items — increase sales impact by 265%, according to that same POPAI study. And shelf-talkers —those signs and brochures that go on the shelf next to the product — continue to be one of the most frequently used, retailer-accepted, and cost-effective advertising for CPG products. I can’t blame healthcare and pharmaceutical CPG companies for wanting to get the cheapest possible price for their tertiary packaging — and choosing cheaper materials can make a big cost difference. But if your display can’t stand up to transport and standard usage, you’ve got a real problem on your hands. And what about the other factors? The hard-to-plan for, unforeseen situations that occur everyday? The transport truck gets into an accident. A forklift operator gets careless. A rough-housing kid slams into the display in the store. Then what? The materials your display is made from — the quality of the paper, card or corrugate stock — will make all the difference in whether or not that display holds up. The quality of your materials isn’t the only factor of a quality, effective display, however. Size matters, too. Every retailer here in Canada, for example, has their own unique specs that CPG companies must adhere to be placed in stores (this is why Ravenshoe creates customizable, modular, flexible POP displays for our customers). For floor displays, you have to take consumer height into consideration. For counter displays, you have to make sure they don’t obstruct the line of vision between the salesclerk and the customer. And finally, the design matters. 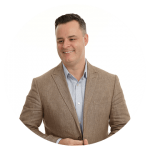 The quality of the colour, the clarity of the messaging, the professionalism of the branding — all of these things directly impact how consumers view the product and interact with the display. I felt terrible for the lady at the store who stood there helplessly as the display crashed down around her. And I’m very, very glad her rambunctious son wasn’t hurt when it happened. There is no excuse for a CPG company to place their products in stores in poorly constructed displays today. There are plenty of materials, designs and production methods that are cost-effective enough for even the most cost-aware company to use for their tertiary packaging and POP displays. Want to hear about how we make sure this never happens to our customers here at Ravenshoe Group?Comment here or contact me at Ravenshoe Group. I’ve been at this for more than 14 years, and I’ve learned a thing or two about keeping a display upright and intact.